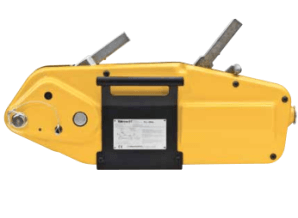 Cast aluminium cable puller for lifting and tensioning applications and with double fall capabilities. 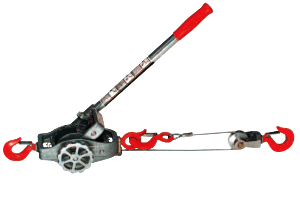 The Yale LM cable puller has an aluminium alloy construction and so is much lighter in weight than some other models. It is also corrosion resistant which can be of particular benefit is some situations. This cable puller is for pulling and tensioning applications only, it should NOT be used for lifting and lowering tasks. 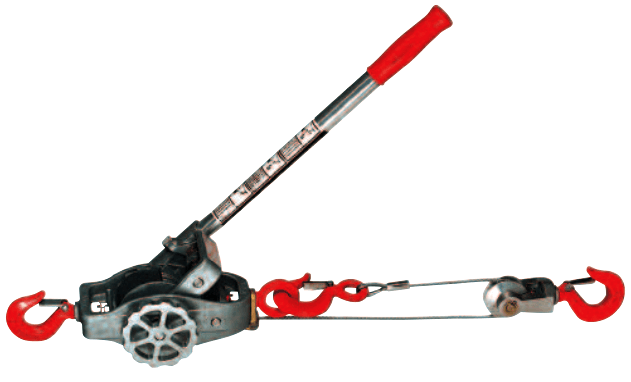 This cable puller consists of stainless steel springs and shafts. The load bearing shafts are bearing mounted, these bearings have been pre-lubricated to alleviate excessive wear. The incorporation of a double, interlocking pawl mechanism will ensure safe functionality of the machine. 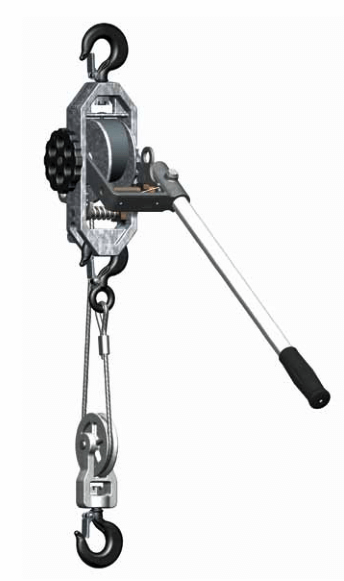 The wire rope used on this cable puller is a galvanized steel rope with a non-rotating construction. 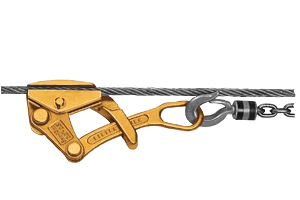 All hooks incorporate safety catches to ensure they remain in place at all times. The hooks all swivel through 360 degrees for easier placement. 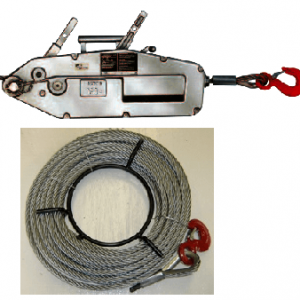 The LM wire rope puller can be used in both single and double fall configurations. 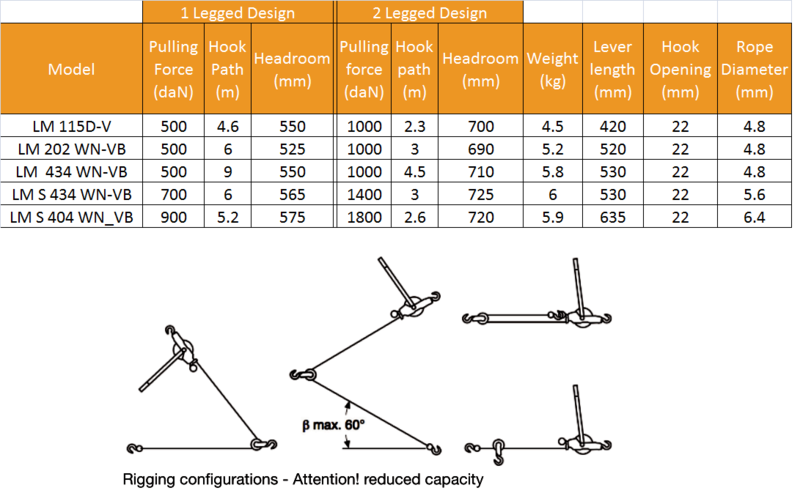 When using in a double leg configuration the pulling height will be halved whilst the actual pulling force of the device will be doubled. There are some scenarios where the capacity will need to be reduced. This is usually due to the angle of the wire rope, this should be carefully considered. 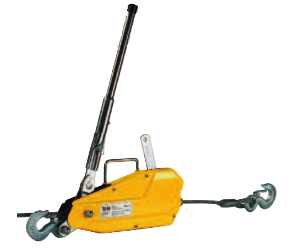 Lifting Hoists Direct can supply any of the 5 LM models available, their pulling forces range from 500daN to 900daN, though these figures can be doubles if using in a double fall configuration. 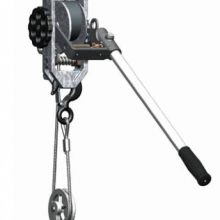 If you require a cable puller for lifting and lowering applications then you can view the rest of our cable puller range here, most can be used for lifting and lowering tasks. 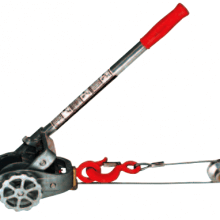 Not sure which cable puller would suit your task best? call our sales team for help on 01384 75182, or drop us an email.